On the heels of its triumphant past Boston engagements, "Disney's The Lion King" returns to the stage of The Opera House for a limited five week engagement from February 16 - March 21. This North American Tour is one of seven productions currently running worldwide along with New York, London, Hamburg, Tokyo, Paris, and a new sit-down production in Las Vegas at the Mandalay Bay Theatre. With a score that includes such songs as "Circle Of Life," "Can You Feel The Love Tonight" and "Hakuna Matata," "The Lion King" first came to life as a 1994 Walt Disney animated film featuring the voices of Matthew Broderick, Nathan Lane, Ernie Sabella and James Earl Jones. The film would go on to win two Academy Awards for Best Score and Best Song. The stage adaptation came in 1997. Now in its second sold-out decade on Broadway, "The Lion King" is the winner of six Tony Awards including Best Musical, eight Drama Desk Awards, six Outer Critics Circle Awards, the New York Drama Critics award for Best Musical, the Evening Standard Award for the Theatrical Event of the Year, two Olivier Awards, a Theatre World Award, the Astaire Award for Outstanding Choreography, two Drama League Awards and a Grammy Award for Best Musical Show Album. Boston's own Julie Taymor became the first woman in Broadway history to win the Tony Award for Best Director of a Musical. Taymor, along with Michael Curry, created hundreds of masks and puppets for "The Lion King." The book from the stage musical has been adapted by Roger Allers, who co-directed the animated film, and Irene Mecchi, who co-wrote the screenplay. The score features Elton John and Tim Rice's music from the animated film, along with three new songs by John and Rice, and additional musical material by South African Lebo M, Mark Mancina, Jay Rifkin, Julie Taymor and Hans Zimmer. 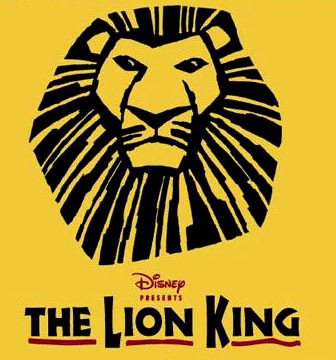 Broadway Across America – Boston will be hosting an Audio Described performance of "The Lion King" on Sunday, February 21, at 1 p.m. for the visually impaired. Also, on Thursday, March 18, at 1 p.m. Broadway Across America – Boston will host an Open Captioned performance for the hearing impaired. Tickets for both performances may be purchased through Voice - 617-880-2419, TTY - 617-426-3444 or in person at the box office. For information, stop by the box office, call Ticketmaster 1-800-982-2787 or visit www.BroadwayAcrossAmerica.com/Boston.